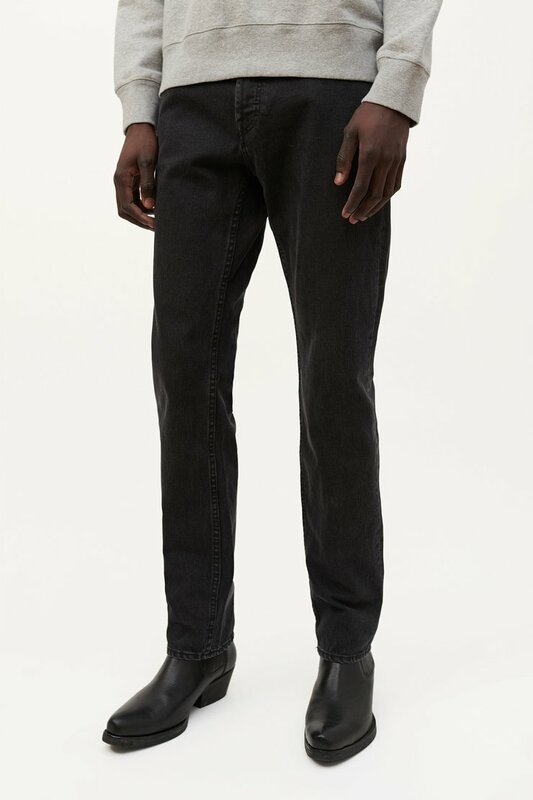 Our First Cut Jeans in Black Rinse. 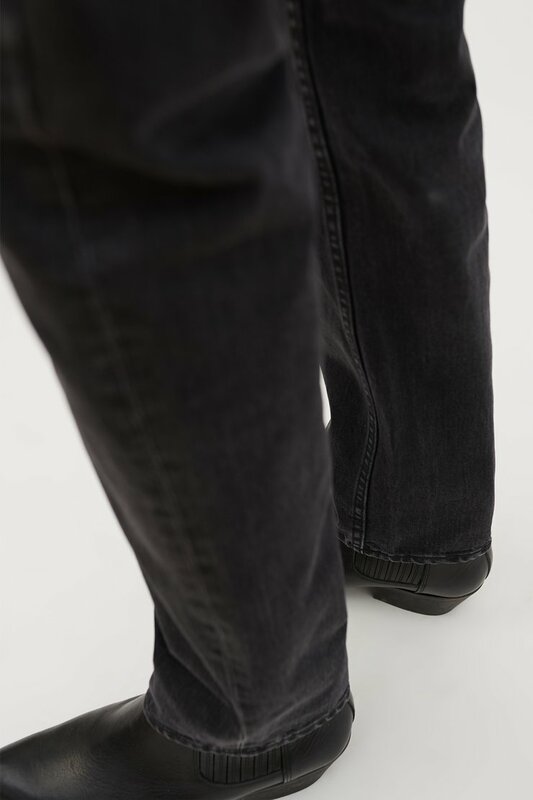 Produced in a pigment dyed Italian denim, the jeans feature metal buttons, exposed rivets and bar tacked back pockets. 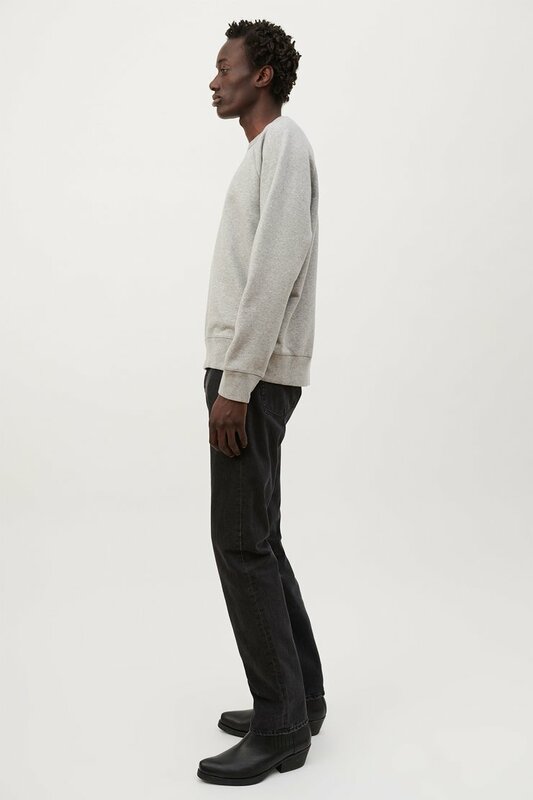 Our First Cut Jeans are true to size with a slender tapered fit. 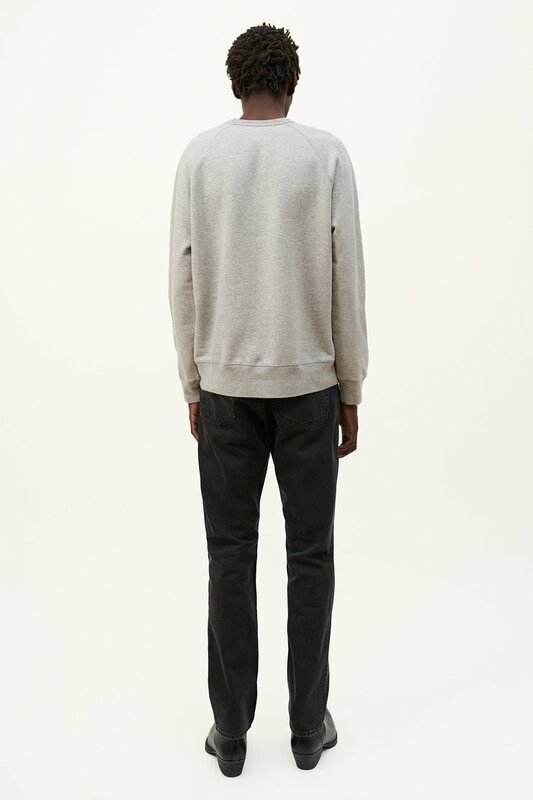 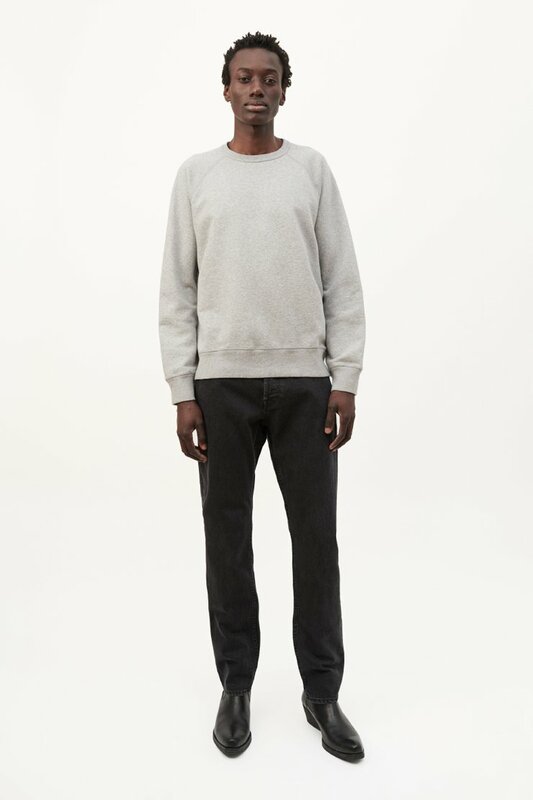 The model is 185 cm tall with a 32” waist and is wearing a size 32/32.